Eric Carle is a much loved children's book author. Many of his books are written about creepy crawlie critters which are perfect for spring reading. We love to watch the very hungry caterpillar as he eats, grows, and changes into a butterfly. We love to read about the very clumsy click beetle who could not turn over and the very quiet cricket who could not make a sound. I enjoy sharing these well sequenced narrative texts, but I also enjoy learning facts from these books as well. Many of Eric Carle's books include an informational paragraph about the insect featured. This is a great mentor text for students who are writing their own informational texts. 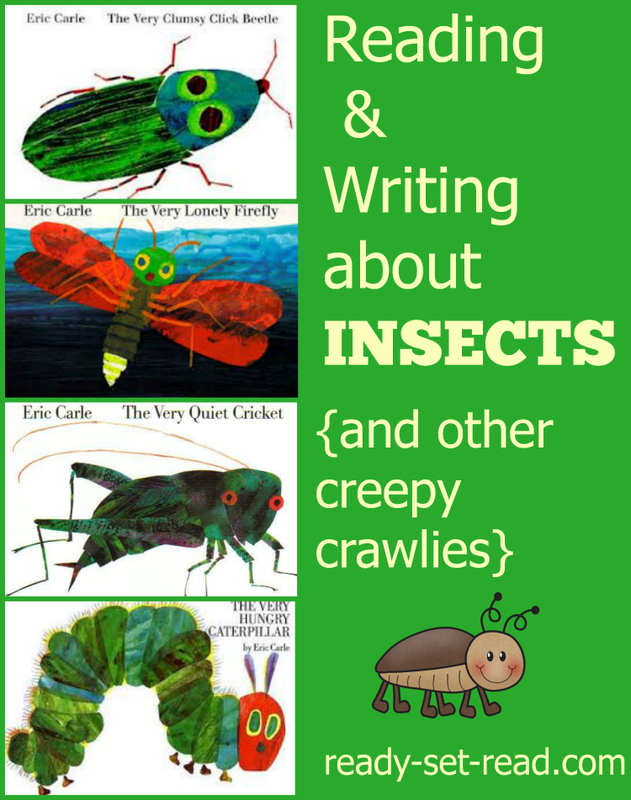 One of my favorite units to teach in spring is Reading and Writing about Insects (and other creepy crawlies) featuring Eric Carle books. There is also a focus on close reading of informational text in this unit. 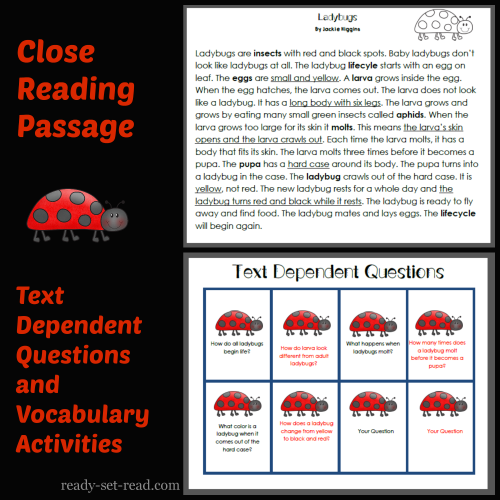 Students will answer text dependent questions and focus on gaining new vocabulary. 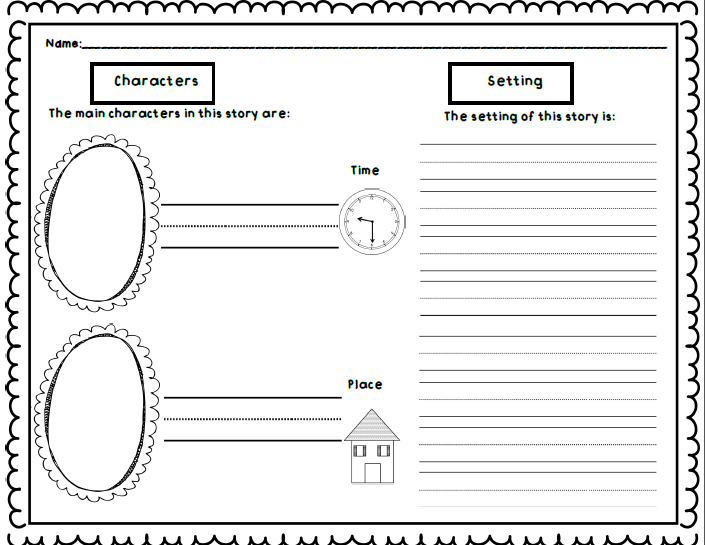 Students will work with a variety of graphic organizers to record details from their reading and plan their own writing. 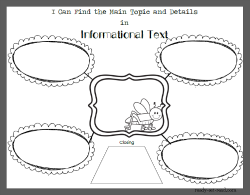 They will use a plan for reading informational text and connect that planning sheet to their writing. They will also use a graphic organizers that focus attention on specific details and events in narrative text. The projects in this unit are fun and create an engaging environment. 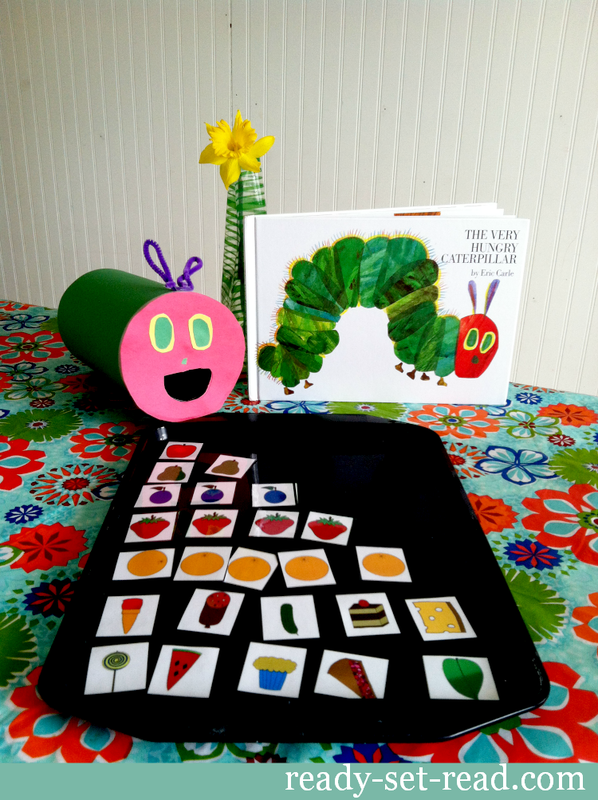 Students will enjoy retelling The Very Hungry Caterpillar. 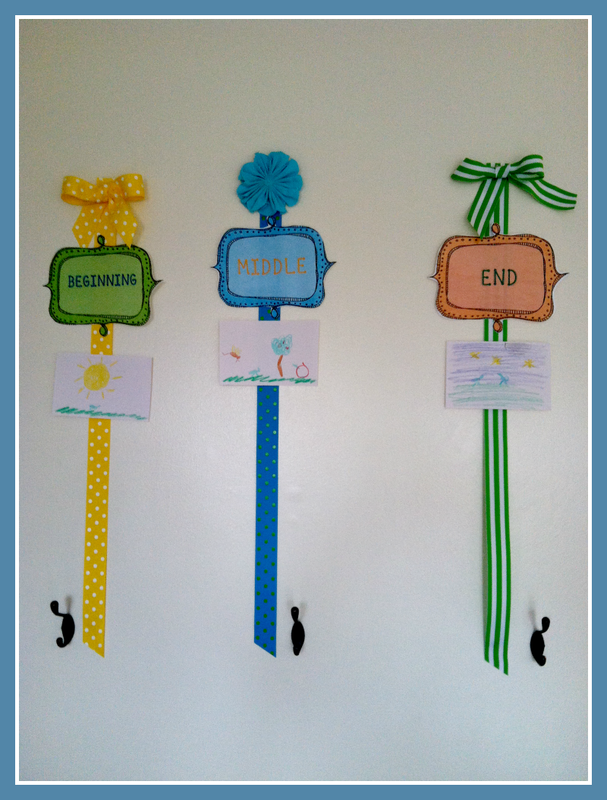 Bright colored printable signs will help you display student work. The entire unit is focused toward helping students meet the standards so they can create meaningful writing of their own. In the unit, students are often required to take on a role such as bug researcher, coauthor, or party planner. 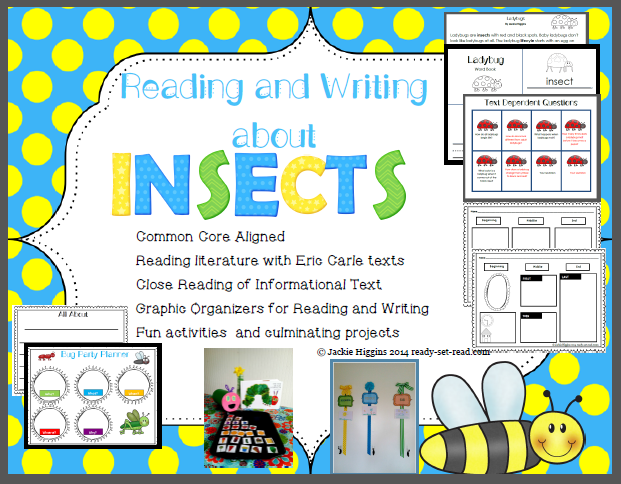 Reading and Writing about Insects is a fun writing unit for K-2 grade students. You can easily print the activities which are aligned to the standards. 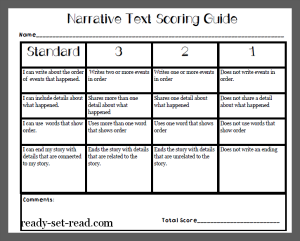 There are scoring guides aligned to standards which will make standards based grading quick and efficient. You can purchase this unit in my teachers pay teachers store by following this link or clicking the picture below.